Gulfstream Aerospace Corp. today announced that company President Mark Burns will be among the 2018 recipients of the National Aeronautic Association’s Wesley L. McDonald Distinguished Statesman of Aviation Award. Gulfstream Aerospace Corp. will demonstrate its leading position in aircraft performance, technology and flexibility at the upcoming Airshow China in Zhuhai with a display of its flagship G650ER and a G550 modified by Gulfstream for medevac and airlift missions. 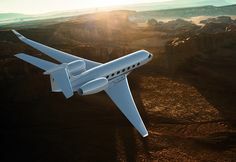 Gulfstream Aerospace Corp. today announced a second range increase for its all-new Gulfstream G600 business jet. Gulfstream Aerospace Corp. today announced it will increase services to customers and add to the employees at its West Palm Beach, Florida, site with construction of a new service center at Palm Beach International Airport. Gulfstream Aerospace Corp. today announced the Gulfstream G650 family has now achieved more than 75 city-pair records, just a few weeks after the ultra-long-range aircraft demonstrated steep approach capabilities at London City Airport. Gulfstream Aerospace Corp. today announced its fleet of in-production aircraft has Federal Aviation Administration (FAA) approval for Visual Advantage credit using the Enhanced Flight Vision System (EFVS). Gulfstream Aerospace Corp. today announced that Gulfstream G280 owners and operators will soon have access to the fastest, most reliable worldwide communications network available for midcabin business jets. Gulfstream Aerospace Corp. today announced Thomas Horne, director, Flight Operations Test, Gulfstream, has been inducted as a fellow in The Society of Experimental Test Pilots. Gulfstream Aerospace Corp. will showcase its award-winning aircraft and a selection of its customer-centric digital design tools at the 2018 National Business Aviation Association Business Aviation Convention & Exhibition (NBAA-BACE) October 16-18 in Orlando, Florida.